PPC campaign mismanagement can cost you dearly – let the experts handle it! Do you think hiring experts could prove expensive too? Try out our cost-effective PPC advertising solutions – yes, PPC campaigns at Technousa are handled by highly experienced PPC experts. We run highly impactful, cost-effective, ROI-focused PPC campaigns that yield profitable results. Guaranteed Results. Handled by Experts. Affordable Ad Management Fee. Technousa is one of the best offshore Pay per Click Management/Search Engine Marketing (SEM) companies with offices in India, US and UK. Our PPC management team specializes in Google adwords campaign management (PPC advertising), Google Display Network, Google Shopping Ads, Google Video Ads, Google Universal App Campaign (Mobile App ads), Remarketing, Yahoo/Bing ads and Facebook Advertising. 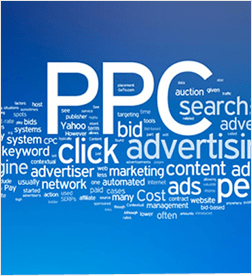 Our PPC experts are certified ad professionals who have in-depth knowledge, expertise and years of experience – they have hands-on experience running a range of small, medium and large-scale ad campaigns. Our highly-targeted, ROI-focused, Custom-approach to PPC advertising helps us to run effective ad campaigns that deliver profits. Planning and Analysis Phase – In this phase, we'll study your business, products/services, market, competitors and target audience. We'll then discuss with you and take your inputs and understand your goals and marketing objectives. Our team will then discuss and plan out the ad campaigns and budget allocation (eg. What types of campaigns to be run, targeting specifics, how much to spend on which campaign etc.). The plan will be shared and discussed with you. Account Set Phase – In this phase, we do keyword research, Ad copywriting/ad creative designing, Landing Page optimization, conversion tracking implementation and ad campaign set up. Our objective will be to setup campaigns that will achieve maximum ROI with respect to the budget. We'll show you all the account set up work done by us and will take your approval. 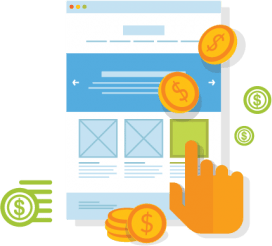 Account/Campaign Management – Our experts will run/manage the ads and continuously monitor the performance of different ad campaigns, ad copies and landing pages. We change/modify bids and influence factors that contribute to better ad positions/visibility through constant improvisation. We reallocate budget and manage bids based on the performance of the individual campaigns, ad groups and key phrases. ROI Analysis, Reporting and Performance Management – we review the performance of the campaigns taking into account both external and internal factors that affect ad campaigns and also analyze ROI on monthly basis – performance gaps are identified and best possible improvisations are done with an objective to increase campaign performance and profitability. You'll receive performance report every month. Our efforts will be focused on boosting CTR (click-through rate) & conversions and minimizing cost.